Sustainable Living in Texas Hill Country and Houston areas. About 15 years ago I was living in a typical subdivision when my next-door neighbors decided to start a compost pile in the space between my home and theirs. I had some reservations concerning this endeavor, but I kept them to myself and watched them cultivate a 25-square-foot patch of rotting garbage just off the North side of my home. Needless to say, after only a few weeks it was impossible to open any windows on that side of the house due to the stench. I tried to approach them about the problem, but my pleas for another arrangement regarding their compost heap fell on deaf ears. A decade-and-a-half later, when my wife and I started looking into the benefits of composting I remembered back to that sad episode and thought, “You just can’t do this in a subdivision.” After some research I soon found a novel way to compost everything from lawn debris to kitchen waste without raising the ire of my nearest neighbors - by using 55-gallon re-purposed olive barrels (also known as “commodities barrels”) set on a swivel, and mounted on a simple 2x4 base stand. I constructed three of these enclosed compost tumblers, and we now have 165 gallons of enclosed compost storage in our backyard. We add material from the lawn, such as grass clippings, leaves, pulled weeds, and even small tree limbs that we cut up into small pieces. All of this material is generally dry and is a good source of carbon in the compost mixture. Kitchen waste provides the nitrogen portion of the compost in the form of vegetable trimmings, eggshells, fruit peelings, rinds, and seed cores. We also ask local coffee shops for their used coffee grounds, which they gladly give us. The compost tumblers get filled in about 3~4 weeks and we simply tumble them each day to mix the material and speed the composting process. 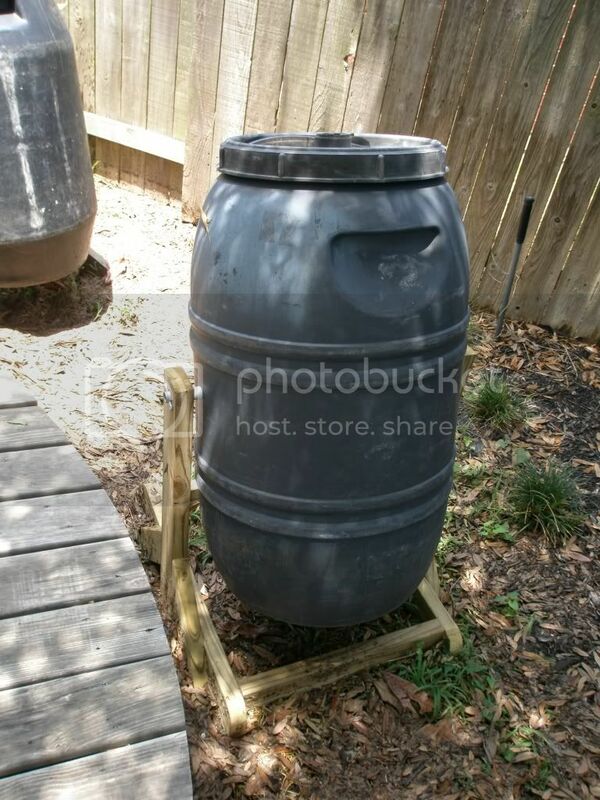 The drums are aerated via 2” perforated PVC tubing extending from the bottoms of the barrels. My wife and I keep a separate trash can in the kitchen strictly for organic material bound for the composters. 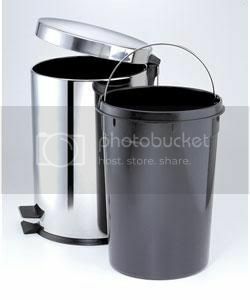 We use a small stainless steel can with a pedal-operated lid. This way we can easily store a few days worth of organic kitchen waste before emptying the pail into the compost drums outside. We have been amazed at how composting all of our organic waste has cut the amount of material we put out for trash pickup every week by 50%. Each barrel yields approximately 20~30 gallons of rich, black compost after about 8 weeks. meaning: The capacity to endure while remaining diverse and productive over time. The potential for long-term maintenance of well being, which has ecological, economic, political and cultural dimensions. We focus on primarily on the Texas Hill Country areas, but a lot of our content also applies to Houston and Southwest Louisiana areas.